Full malt body copiously hopped with Nelson Sauvin displaying mouthwatering gooseberry, pineapple and grapefruit flavours. Balanced bitterness. It’s a Tuatara, they made a bottle like it. A 330ml bottle, that is the familiar lumps and bumps to imitate a real Tuatara, a beer that is 5.2% ABV, has a rating of 34 IBU, comes in at around 156 calories, and the equivalent of 1.35 standard drink units. Kiwis are notorious for developing an enthusiasm for local commodities only after a thumbs up from the more discerning parts of the world. haircut and a new beer! In the case of Nelson Sauvin hops we think that’s a little unfair. 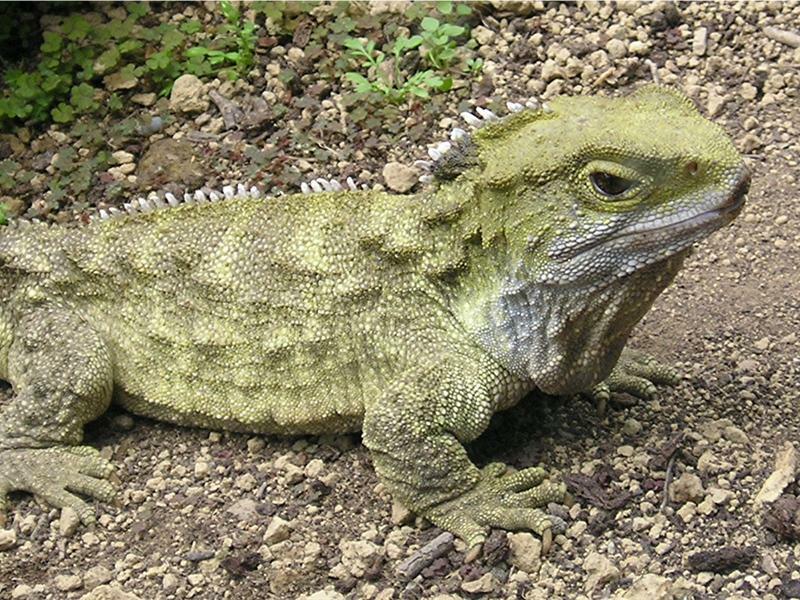 Tuatara and Sauvin were released into the world at about the same time so we knew them back in the day. Brought to you with Liquorland, Sauvinova is a single hop pale ale celebrating the tropical gooseberry hit of Sauvin’s Sauvignon Blanc namesake. Bottoms up. Well nothing as it turns out, or not much anyway. This has a dazzling aroma on opening, all fresh green hops. 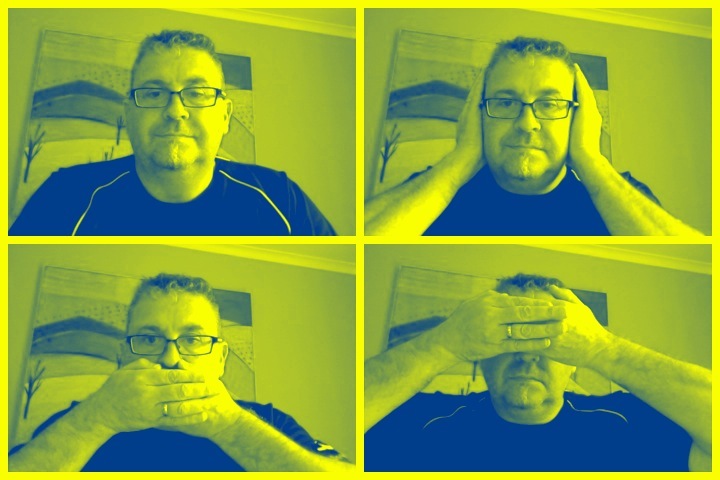 Pour is orange yellow, darker than you might expect, I’m always led by ‘pale’ perhaps I should pay attention. The head is variable and transient, and the aroma is really big. I get a lot of oranges in the aroma, might also be passionfruit. Whatever it is it is nice. Might of course be grapefruit. It’s not however a fruit salad. Cracking amount of bitterness on the tongue, so moorish. Feels really carbonated although the appearance would have you otherwise.. There is no hiding in a single hop beer, this appears to have been expertly put together, delivering a bitterness, light dryness and a decent linger. It drinks well, has a decent length of taste and does invite you to have another sip or two. This might be due the lovely malt sweetness or middle, for some I could imagine this being a bit sweet or cloying. For me, now, this is right on the money. Easy drinking and at a modest ABV this is a beer that you could drink and after a few still hold a reasonable conversation about or despite of. The pdubyah-o-meter rates this as 10 a of its things from the thing. For a single hop beer, for a single source distribution (mostly), this is a really good beer. You could have expected a half-hearted effort, after all captive audience, but this is far from that. I even went for another 6 pack, and I know there is a keg about to go on tap at the local bottle shop for a FYO. Am I enjoying it? I am, it is both a simple and yet layered and rewarding beer. Would I have another? I am having another and will have another after that. Would I share with a friend on a porch and set the world to rights? I’d for sure be happy if you turned up with a 6-pack of this, and I’d bring one to yours, it’s just a bit good. Sorachi Ace Showers Double IPA at Noble Ale Works, Our Drink of the Week! 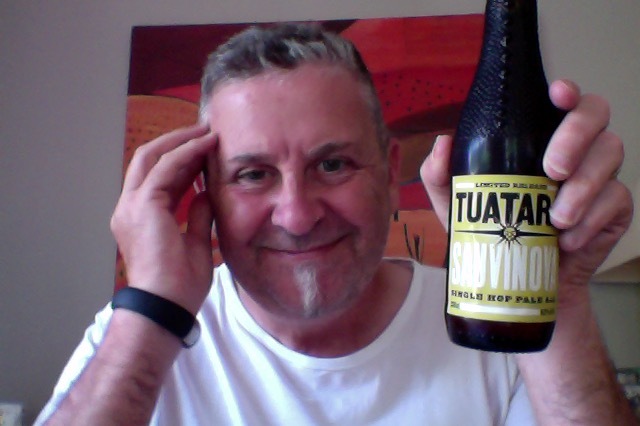 This entry was posted on February 20, 2015 by Philip Walter in Beer, Beer of New Zealand, Beer Review, Craft Beer, Critic, Justsaying, NZ Pale Ale, Tuatara and tagged craft beer. 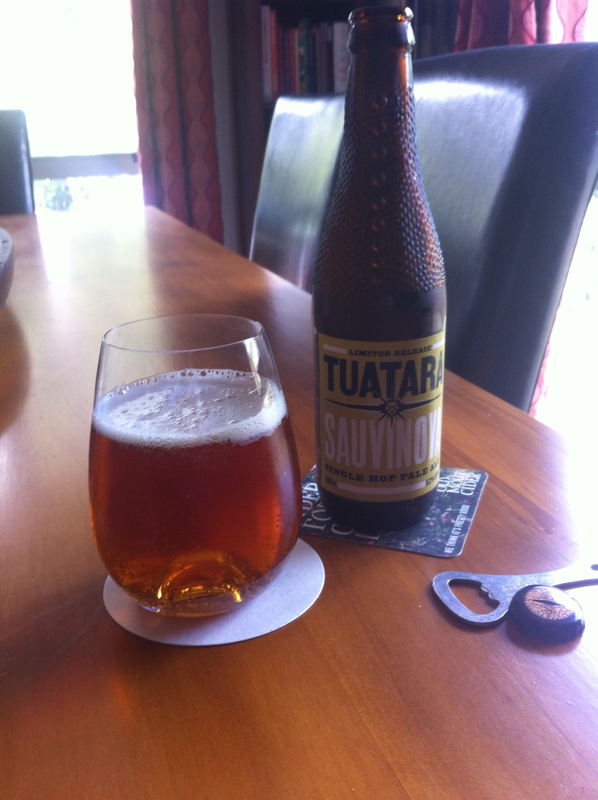 sauvinova, Hops, Pale Ale, Tuatara Brewing Company.